Maryland Terps coming to Whitman! Posted on September 25, 2009 by Dona | Comments Off on Maryland Terps coming to Whitman! Maryland Terps coming to Whitman!!! On Wednesday, October 7th Head Coach Kerry McCoy will be coming to Whitman High School’s Wrestling room for a clinic. Coach McCoy is a former NCAA Champ and Olympian and coached the Terps to a top ten finish at last year’s NCAA tournament. Start to make plans now to come to the wrestling room on 10-7 to get some one on one coaching from some of the NCAA’s best coaches and wrestlers!! Times are yet to be determined for that day but will be released soon. Comments Off on Maryland Terps coming to Whitman! Posted on September 12, 2009 by Dona | Comments Off on Viking Fall Wrestling Club! 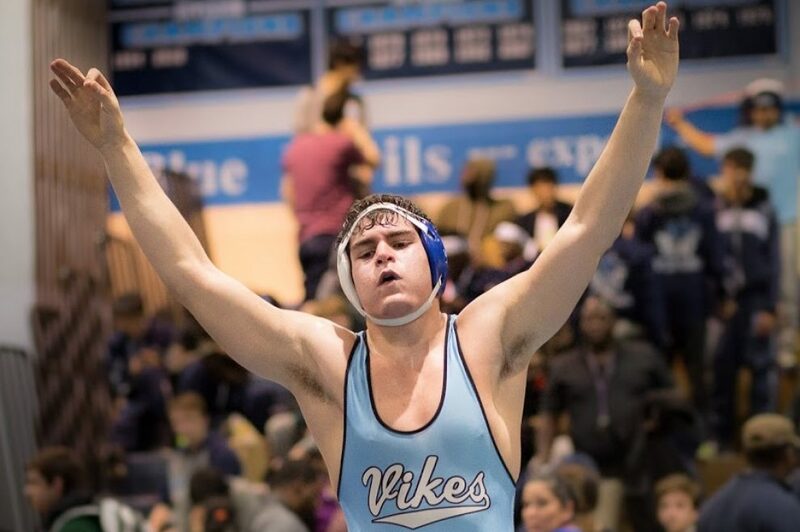 The Viking off-season wrestling clubs continue this fall with 9 consecutive Tuesday evenings of preparation for the upcoming season. Each Tuesday clinic will be held from 6:30-8:30. Participants will get plenty of drilling, live wrestling, and time in the weight room. We have once again reserved the expertise of Coach Dwayne Barberis and Coach Matt Pelligrino. Dwayne and Matt wrestled for four years at American University. They are very knowledgeable and excellent technicians. They both were the instructors at last falls as well as this past springs mat clubs. All wrestlers, or those interested in wrestling, who are not currently in a fall sport at Whitman are STRONGLY URGED to go to every one of these Tuesday evening clinics. This is the BEST way to get ready for the winter wrestling season! I’ll see you in the Whitman Wrestling Room on Tuesday nights! Comments Off on Viking Fall Wrestling Club! Starting on Tuesday, April 14th the Spring Mat Club will be underway. We, once again, have secured our tremendous coaches, Matt and Dwayne, to help out. The mat club will be every Tuesday/Thursday from 6:30 to 8:00 P.M. The mat club will be of no cost to you or your family. However, you will be required to purchase a USA wrestling card (about $30). This can be found on www.themat.com. This is necessary for insurance purposes. Mr. Mike Lerner, the head of the Viking Mat Club, has been a big help in getting this started and we thank him. All Whitman wrestlers who are not currently on a spring sports team will be expected to attend all mat club practices. This is an excellent way to continue our pursuit of excellence in the offseason. I hope you are all as excited as I am to get on the mat and learn some new technique for next season. Remember, spring/summer/fall wrestling makes winter CHAMPIONS!! Thank you very much! Please let me know if you have any questions as always. Posted on April 1, 2009 by Dona | Comments Off on Tournament at Severna Park!! Great wrestling opportunity on Saturday, April 18th. Get on the mat and get some more experience!! Comments Off on Tournament at Severna Park!! Monday April 6, 2009 — Wade Shalles Clinic @ Gaithersburg High School. A mandatory meeting for all wrestlers is scheduled for Tuesday, September 9, 2008. Here are the letter and registration forms that will be given out at the meeting.